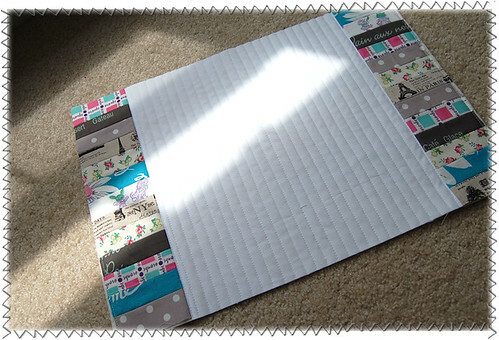 These placemats are just so much fun to make! I hope you'll sew up some too! similar way. 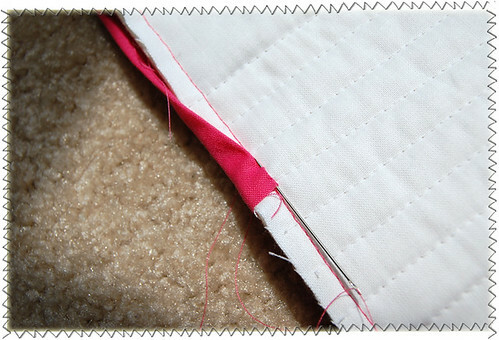 As usual, seam allowance is 0.25"
unless otherwise noted. Here we go! fabric and 2 pieces from the interesting fabric. with 2 sets of panels made with 13 pieces. Cut out 13.5" x 13.5" square from white Kona. 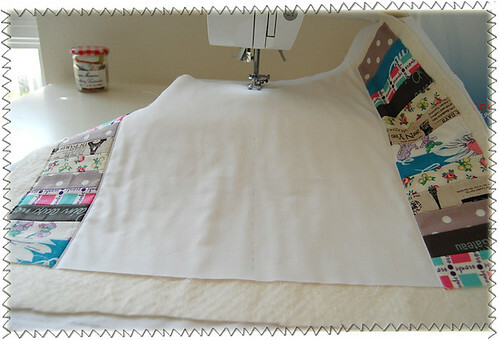 Sew the patchwork panels to the sides. the sandwich nicely attached to each other. I like to start from here to secure the edges. where you drew a line. 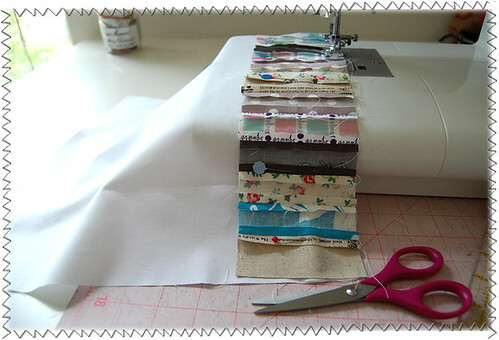 Now let's make a binding tape. 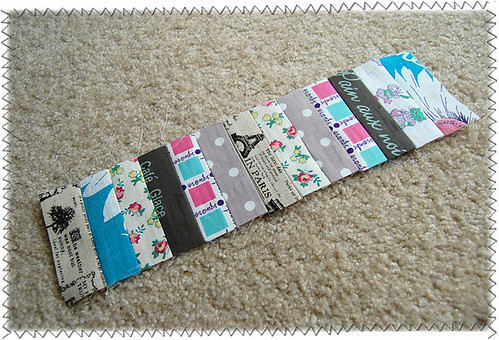 Cut out 4 strips measuring 20" x 2" each. 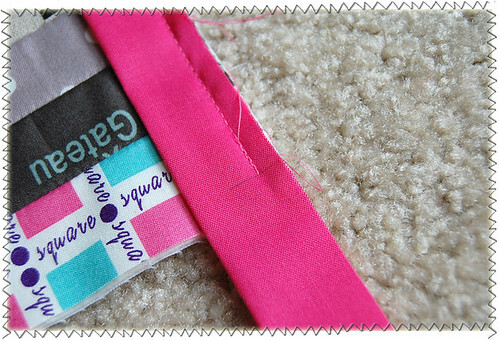 Now we'll sew the strips together. Draw a diagonal line at the edge of one strip. to create one long binding tape. Press to make a fold at one end. 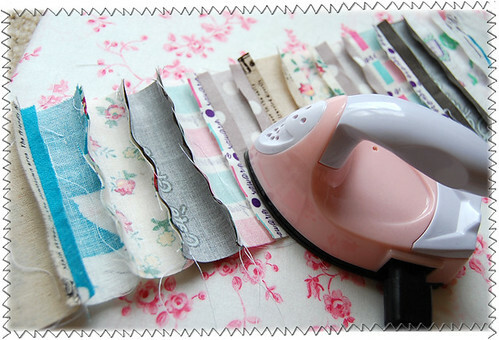 Now fold the tape in half and press. draw a line at 0.25" from the edge. 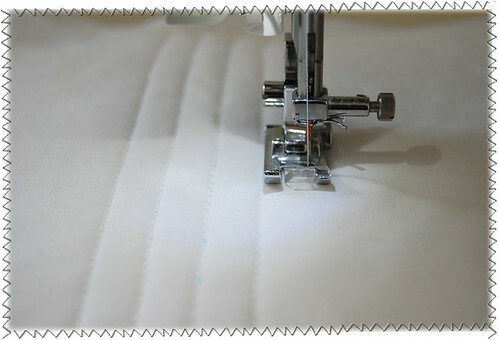 Stop at the line and back-stitch. 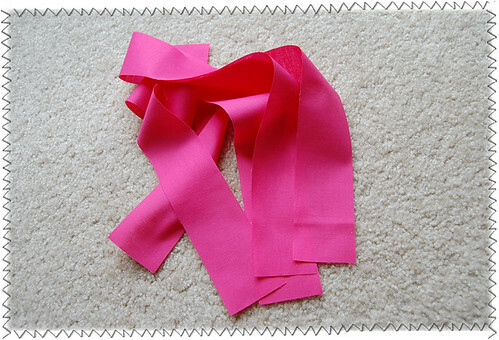 Now fold the tape like this. 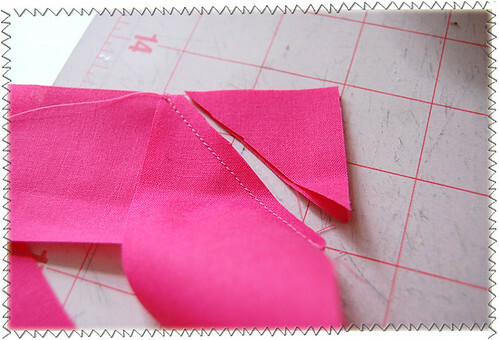 And fold like this, making a folded triangle inside. 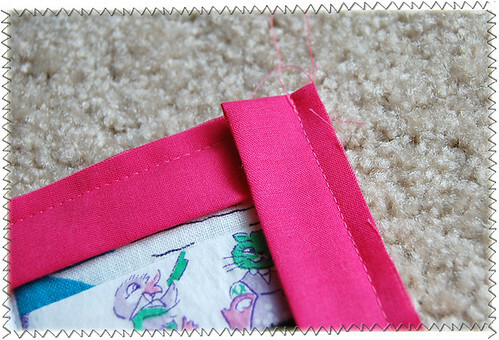 Then sew from the very top edge. Do this for the rest of corners too. It should look like this now. take some time, although it's fun. to cover up the stitching line. This is how the corner on the back should look like. Then you're done :D Hooray!! version of it? Maybe a potholder? 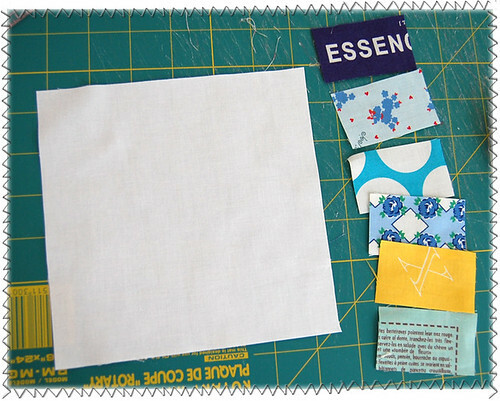 I cut out 6 pieces of fabric measuring 2.5" x 1.5"
each and one piece of Kona white of 6.5" square. 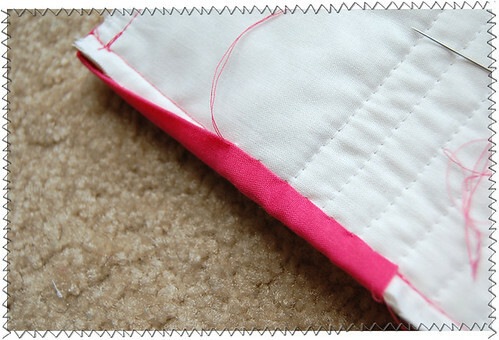 replaced cotton batting with heat-resistant batting. 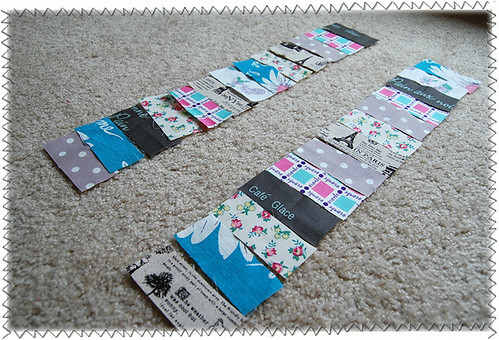 (I needed 4 strips of pieces measuring 2" x 9"
Thank you so much for reading such a long post! and share your creations in the flickr pool! Now I can't wait to see yours!! wow, how cool is this! 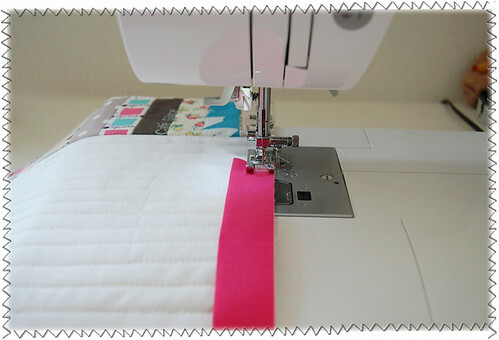 I am more a scrapbooker, but I have a sewing machine and I am tempted to start with one of you projects, they're so well explained. Thank you for the time that you took making this tutorial, it is absolutly well done. Muchas gracias.... Gracias a ti he cogido cariño al patch, con tus explicaciones haces que todo sea más fácil. Thank you so much! You made my day! I am going to try this as soon as possible! thank you so much for this lovely tutorial! 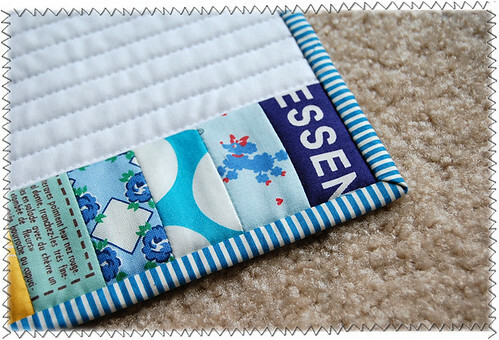 Your placemats are truly gorgeous, I love the choice of fabric on the side strips!!! Thanks for the great tutorial! They are gorgeous! you are awesome. can't wait to make these! Thank you for a new tutorial. 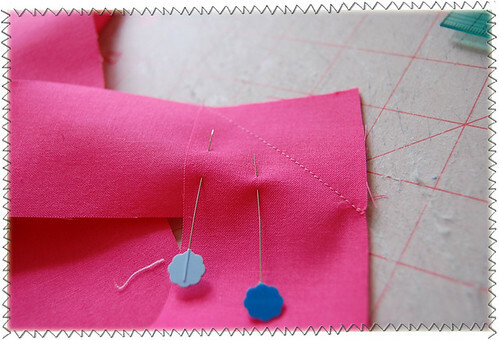 Must start thinking about Christmas sewing. I am with the rest of the comments, THANKS! 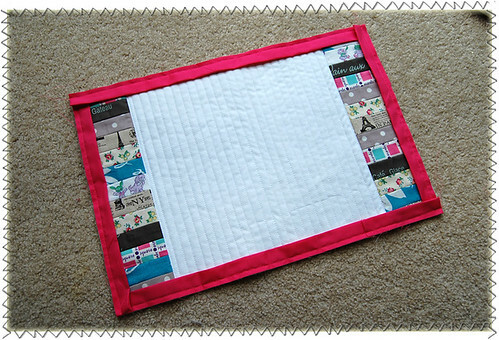 I make holiday placemats for my daughters, These would be wonderful! And the potholders, cool, never even thought of making those. Thank you for the tutorial!. You make it seems so easy! This is a beautiful tutorial, Thank you. Thanks for the great tutorial. I just started an oven mitt last night and the pot holder will go along nicely with it! Thanks for this tutorial! 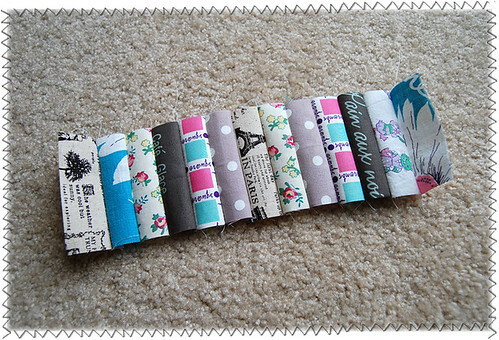 I think I'm going to try making my own binding tape when I make some of these, it looks fun! Thank you for this tuto!! Really love your work. Greetings from Spain. So lovely and simple looking. Thank you for a fantastic tutorial. Love these place mats! Thanks for the tutorial! Super cute! 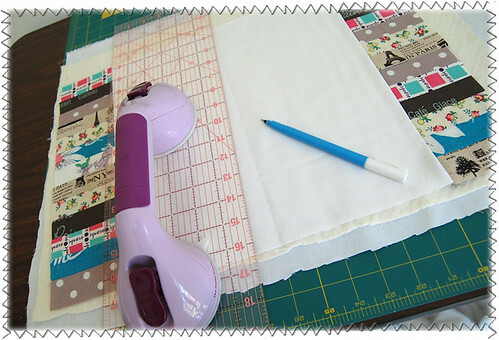 Great tutorial, I have been wanting to make placemats for our table for quite some time and have never made the time to do it. Maybe a goal for the long holiday weekend. This is so great Ayumi! I especially love the bonus "mini" version at the end. Can't wait to give this a try! Your tutorials are always so brilliant!! Thanks SO much for doing this one. I have made all but the camera bag - scared of binding - but you've made it look so straight forward with this that I'll be giving these a go! You make it seem simple and doable. Thank you! I have a question about binding. 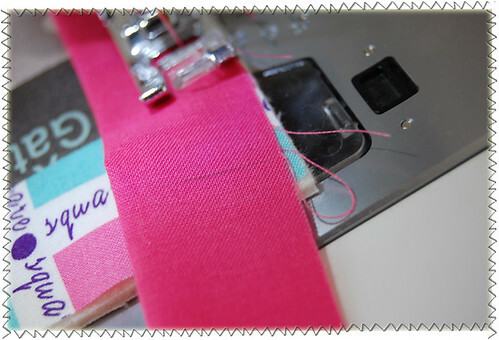 Can you explain what you did between machine stitching the binding and hand stitching? 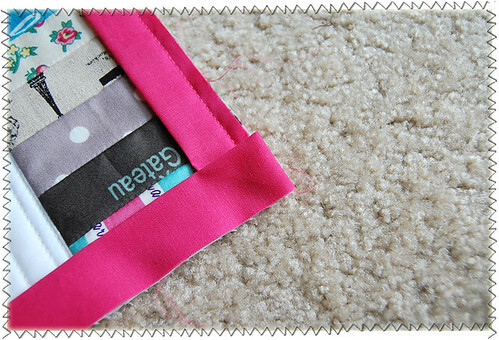 Did you fold the binding over the mat's edge and hand sitch on the other side? 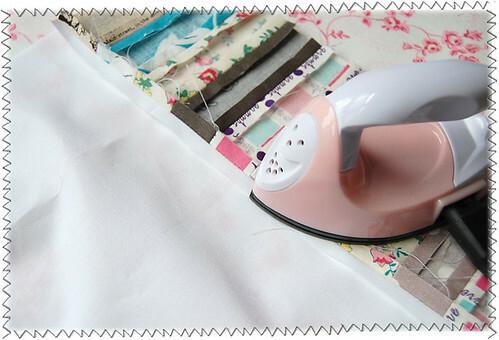 Ok where did you get that adorable iron. I must have one!! Thank you, everyone! I really can't wait to see your placemats/potholders! my favorite fabric is the he-loves-me one! 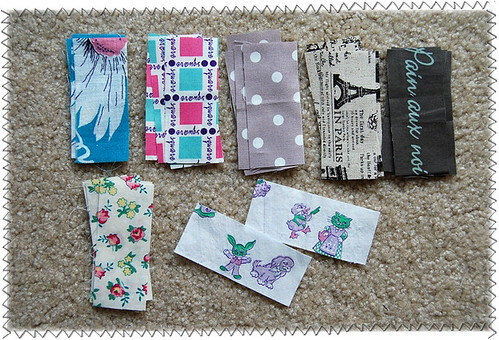 Thank you for sharing such amazing vintage fabric!! If you live in the US, the iron can be spotted at local retail stores of Joann. Otherwise, you can find it here. Here's my version of the potholder.http://mamabeefromthehive.blogspot.com/2010/04/pot-holder-how-to.html I will be doing some place mats now too! I like the cleanness of the white you used. I have little people though, perhaps I'm better off with more pattern :) thanks. Great tutorial (and the photos were super). I'm off to make potholders. Thanks for this great tutorial - but you know what really knocked my socks off? Your use of the suction gripper on your perspex omnigrid ruler! OMG - inspired!!! 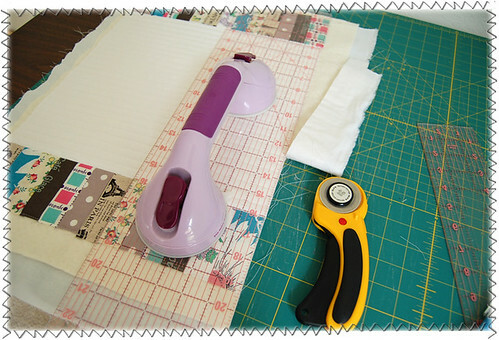 I have problems pressing down on my ruler when I am cutting and I reckon having a suction gripper like that would make it easy to keep a steady even pressure on the ruler when I am cutting. I am off to the homebuild store at the weekend to look for one. Thanks for sharing it! you're great! How cute!!! 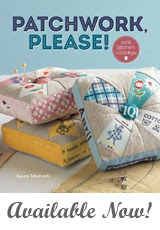 Yes I would love to make some as gifts...my list just gets longer with todo. 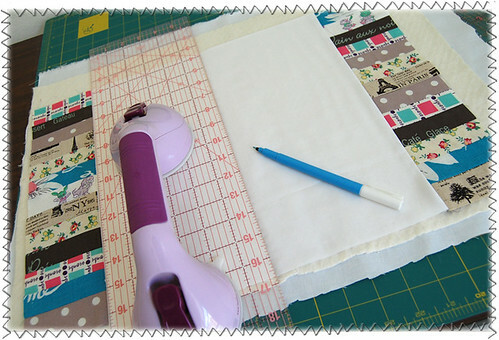 I am a big fan of your tutorials and this one comes at the perfect time because I was looking for an idea to make new placemats. Now I know this is just what I will do. Thank you so much for taking the time to share your beautiful designs, you are such an inspiration! THANK YOU SO VERY MUCH!!!!!!!! :Cannelloni Accompagnes: writing on it. Wow - they are gorgeous. 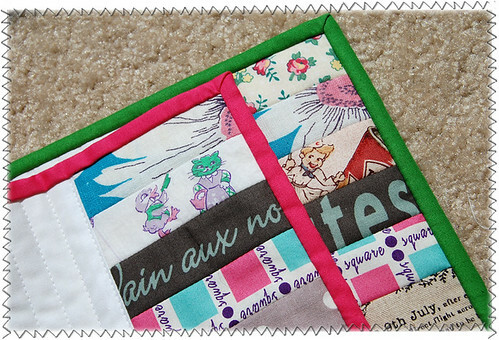 It's probably a good project for my first attempt at quilting, so I'll add it to my incredibly long list of crafts to do! 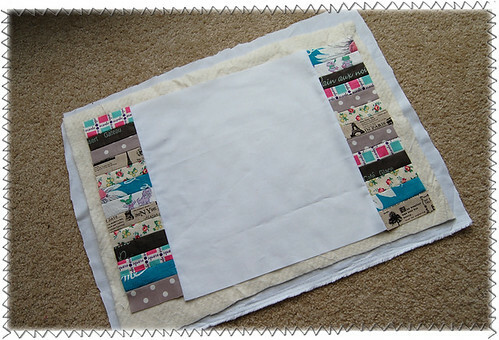 I will have to make some placemats for myself because your's turned out so nice!! What a great project! I will definitely be making these for my daughters new house. Thanks for posting! I love this project and made a potholder sized one yesterday, however I had a little bit of trouble with the coners of the binding on the back. Could you possibly post a pic of the back of one of the place mats or pot holder? I want to make a million more of these but my corners are crazy. Thanks for the great tutorial. Nice tutorial! Thank you for sharing. You've got a typo (just one like should be enough--> should be "just one line"). Love these! 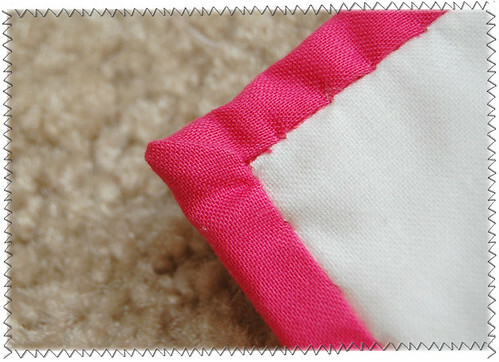 Your mitered corners look fabulous - any tips that you'd like to share on how you do them so neatly? Also, what marking pen do you recommend? The ones I've tried aren't always "erasible!" AWESOME!!! I can't wait to give this one a try. What a great tutorial! you are the best tutor ever..! 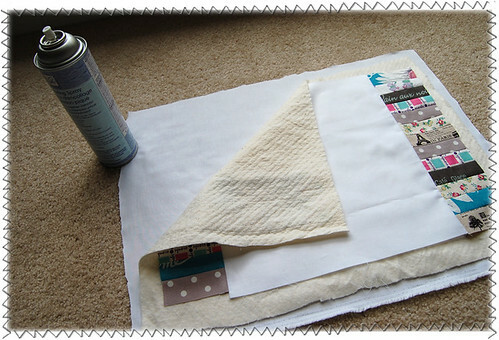 I am going to start making it now! I love this project! Thanks for sharing. That tutorial is excellent! Good photos, explained step by step and with a very friendly approach. Thank you so much! Thank you everyone! I can't wait to see your placemats/potholders!! I'm so excited to hear you've made one! yay! I'll add a picture that shows how the corner looks on the back soon! Oops! Thanks! I'm fixing it right away! The fabric is what I found in Japan a few years ago. 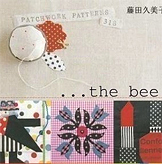 It is designed by a Japanese textile designer Suzuko Koseki. I've been looking for the same print for ages but have not had luck. 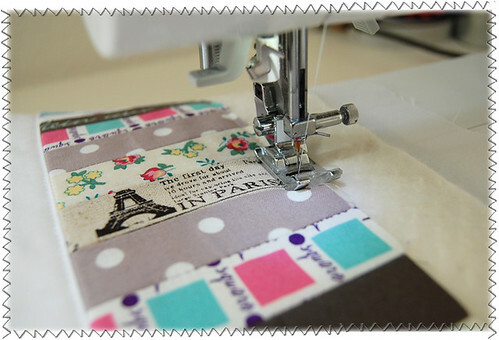 If you like fabric with French words, you might enjoy more fabric from her which can be found in here and here among many others. Hope this helps! 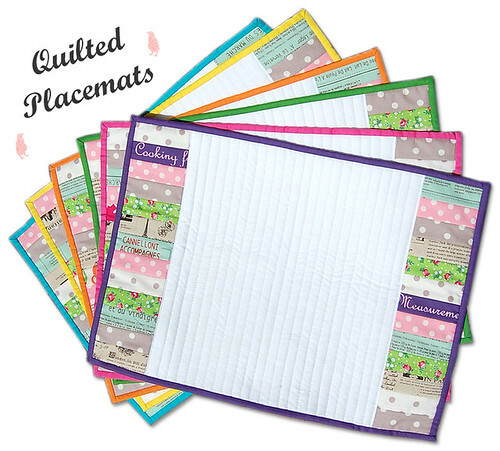 the placemats are adorable... thanks for sharing. I love these. And your tutorial was excellent!!! Thank you for doing this! you made a simply thing became so special.. I do love your blog ! Hope oneday I'll do something awesome like this . 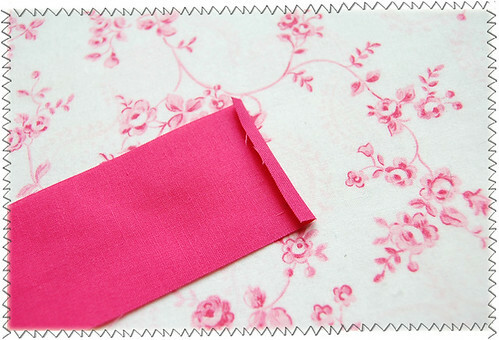 THANK YOU SO MUCH FOR SENDING ME THE FABRIC DESINGERS NAME! looks so fabulous, i can't wait to try it! What a fantastic tutorial. Photographed and explained so well, and they are beautiful just like everything you make. Thanks so much. Obrigada por ensinar tudo tão direitinho. Gostaria de saber de onde é, ou a marca do seu ferro de passar. This is great! I am going to have to make some of these for my dining room. I think I'll have the kids even pick out their own fabric for their placemats. :) Thank you for such a thorough post with pics and explanation! Beautiful! These would make my kitchen so lovely! 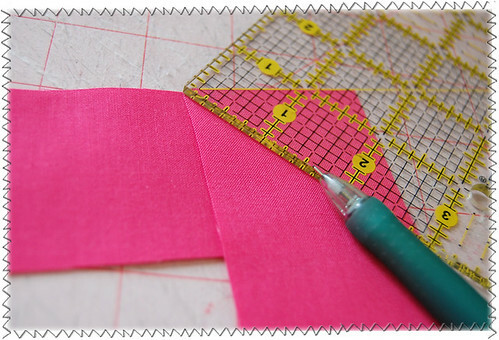 Could you tell me about how far apart to make the parallel quilting lines? Great tutorial! 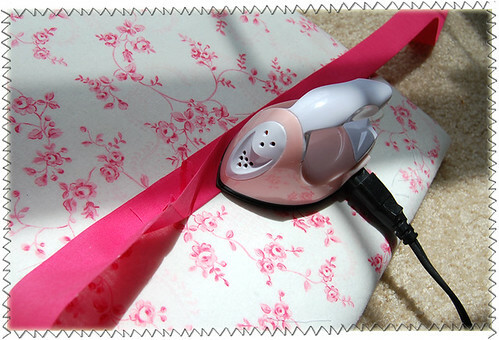 And can I just say your little pink iron is so cute! Thank you so much for the wonderful tutorial! I finally finished a pair of these that I started in December. Obrigada por este tutorial. Vai me ajudar muito, pois sou iniciante nesta arte maravilhosa. Whats up, This is a wonderful summation, I located your blog checking google for any similar subject and observed this. I couldnt find as well significantly other tips and information on this posting, so it was fantastic to discover this one. I will almost certainly be returning to think about a number of other articles which you have written another time. Quilted placemat is not easy to do. There's a lot of process to make it beautiful. I am so happy that you've done your work greatly. Well appreciated. 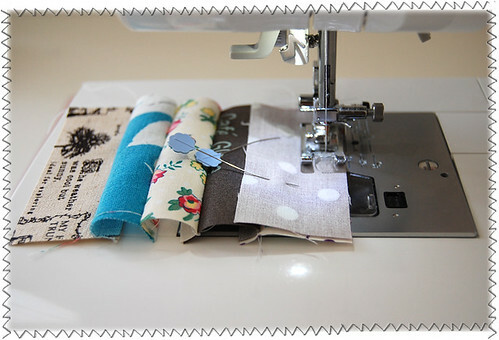 Beautiful placemats and potholder, but can you tell me, when you're finishing the bias tape on the back, how do you do you're stitches, its hard to tell because they are so small, mine are not like that, so i must be doing something wrong, is there anyway you can post a pic as you are doing it? I would appreciate, ive always wondered hhow people did there finishings and you couldn't see the stitches. i love your tutorial. thank you so much. Make this kind of this is one of the hobbies of my sister she makes wonderful things with her imagination! Your tutorial is explained so well. Thank you for sharing. I can't wait to start a project of making placemats and pot holders. 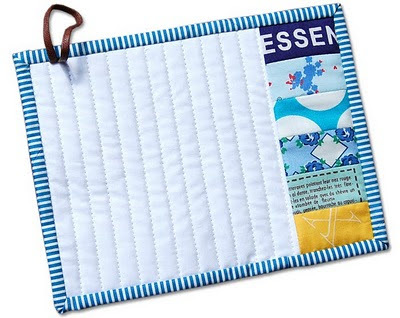 Placemat use to protect the surface of the table. This installed each place setting at a table. 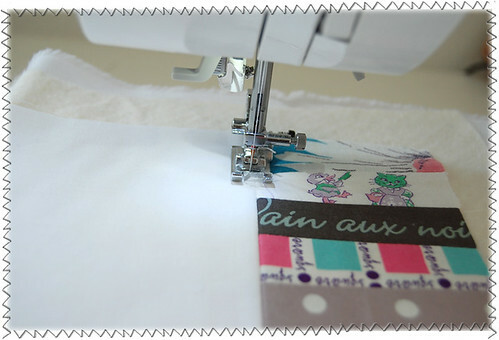 It is better to make our own placemat if we want personalized and with the help of this detailed tutorial, sewing of this makes easier. Sandy from Florida, USA--- Thanks for the GREAT tutorial!! 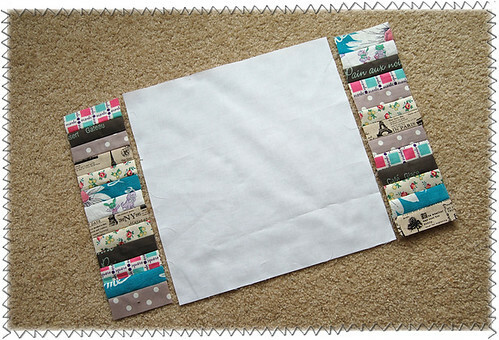 I love this idea & will be using it for Holiday Placemats! Thanks again!!! I made a couple of these for a donation to Meals on Wheels that we challenged our guild to. They received tons of remarks on how beautiful they were in their simplicity. I posted a (horrible) photo on my blog and linked back to your tutorial. I hope that's okay. Your project is professionally accomplished, your design is unique and pretty, your photography clear, your methodology precise and detailed. In addition, your response to any corrections (aren't we ALL so human! ), are polite and timely. 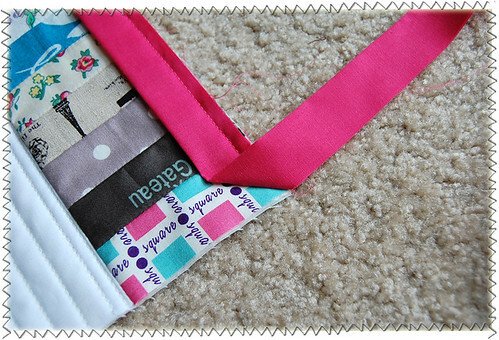 I'll post and link your tutorial to my potholder site next week. Thank you so much for your time, efforts and the learning you've shared. 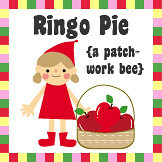 Your patches are perfects! You are generous in put it here! Such nice clear photos and a great tutorial. 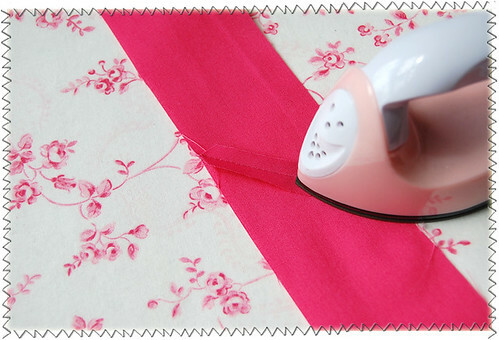 Love the little pink iron. Thank you so much. What a great project, but even more so when the instructions are so good, clear and precise, no chance of never finishing the project. Thank you for your time and efforts. I have never quilted before. I think this is a great starter project. Thank you for sharing your talent.